Who can resist adorable puppies. 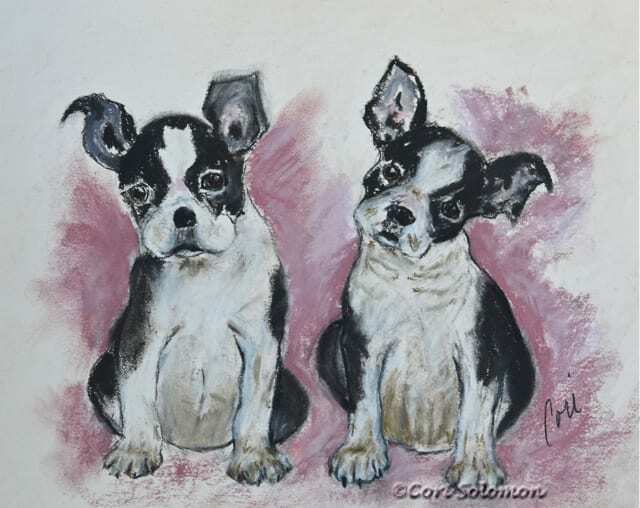 These two Boston Terrier puppies are cute as a button, looking so intently at the viewer. This drawing is created in Pastels and matted.